The first annual Cement Chemists' Society meeting was a success! 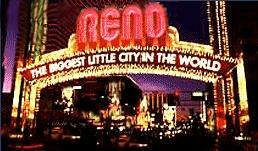 The meeting took place at the Flamingo Hilton Hotel in Reno, Nevada on September 14th - 18th. It was a complete plant chemists experience. Twenty people were in attendance along with six speakers. During the week long meetings, very beneficial information was shared. The sessions ended Friday afternoon. Friends and colleagues made great industry contacts. "Over all view of presentations was excellent. It helped me understand why I'm doing what I'm doing." "Best talk I've had on x-ray. Speaker was very knowledgeable about subject." "Good job of making a "dry" subject interesting." "The best part of presentation was problem solving of actual x-ray encounters." "Made things I had partially learned at other x-ray classes understandable." "Dynamic speaker. Convinced me where to burn waste fuels." "Good presentation of history of alternative fuels burning, current situations, and future problems." "Very informative. I'm not personally involved in this area, but our plant has used tires and may use alternative fuels in the future." "The handouts gave me information that I can use at work." "A great introduction to alternative fuels which touched on every aspect. Visuals, examples, relations to actual cement plants using alternative fuels were the best parts of talk." "New information on an old topic. Good discussion." "Best part of presentation was literature handouts. Looks like it contains everything I need to know about GA."
"Operational part of mill was excellent plus class participation." "Hands on application was very helpful and interesting." "Super glue method and group interaction." "Discussions of common problems and a look at new microscopy equipment." "Very informative. It will be very useful in helping me be able to start up a new microscopy program at our plant." "Very good coverage of lab." "Lots of ideas and possible solutions for different problems that may arise." "Very well done. Enjoyable. Lots of good information for discussion." "Excellent, Back to the basics, but we all need sometimes to go there!!!" "The best part of presentation was the exposure to the use of our final product, that many of us don't have enough information on." "Detailed presentation of mixing procedure." "Good review of ready mix work and concerns." "Good to hear about ready mix additives, problems, and comments." "Good presentation of other side. Old saying: Don't criticize until you have walked in the other guy's shoes!" "Just what I needed. I know cement and not much about concrete."